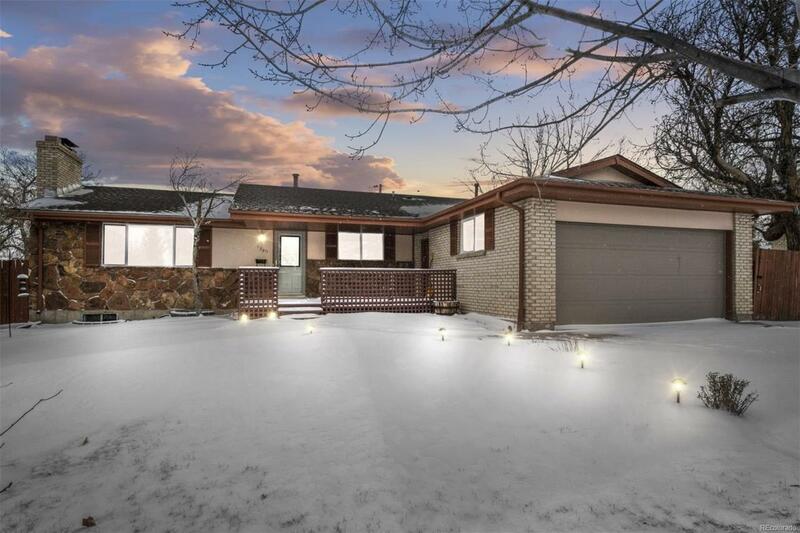 Spacious brick ranch home with stylish interior appointments in Aurora Hills! Owners just installed all new flooring on main level with new carpet in basement and bedrooms! Large master suite with jetted tub. Cozy wood burning fireplaces in both living room and family room. Over sized lot with additional vehicle or RV parking! Large patios in front and back for sunsets and stargazing. Plenty of room in basement to add an additional bed and bath. Close to trails, restaurants/retail, and Aurora Metro Center Light Rail Station! Quick, easy access to highways, Denver, DTC, Children's Hospital/Anschutz Medical Campus, and DIA. With over 90 developed parks and 5,000 acres of open space, come see what makes Aurora's residents proud to call this community home!